After working up the fantastic moustache crochet coffee cup holder yesterday from Busy in Brooklyn’s blog, I decided to try my hand at a few pattern variations on the moustache I wanted to crochet a moustache in one piece that allowed for more curlier ends. After 3 or 4 goes I think I have the perfect tash. 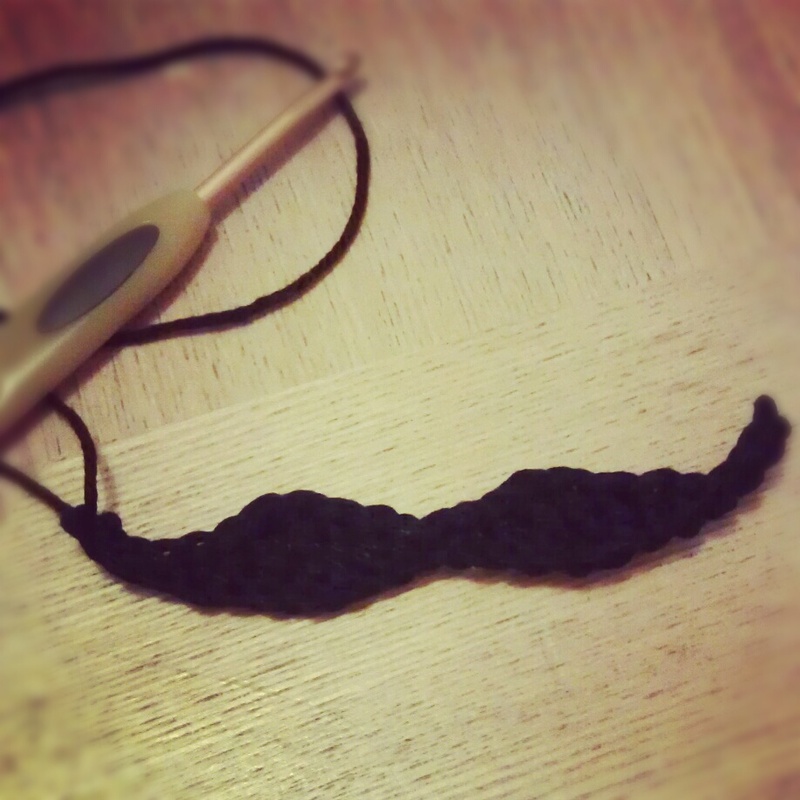 Why not give it a go and get your self the perfect Mo-Sista fake crochet tash. This is adorable! I’m definitely making this into a necklace! Thanks for sharing. Thank you, I would love to see a pic of the finished necklace! This is perfect!!! My son wants to be Mario for Halloween and I made him the hat last night and he wanted the moustache. Thank you sooo much for sharing.